WASHINGTON – Patients at Children’s National Medical Center have all the characteristics of superheroes. They’re brave, they’re strong, and they fight against what can sometimes seem like impossible odds. 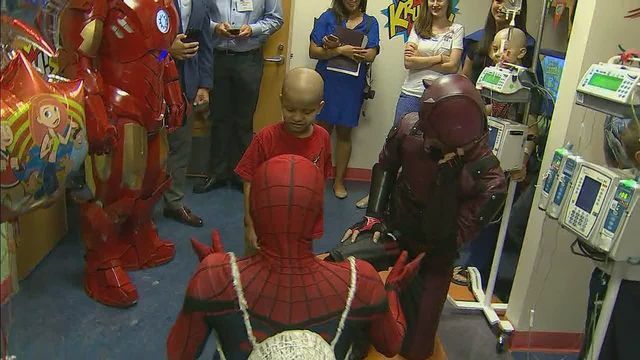 On Tuesday these real-life heroes got the chance to spend time with heroes from their favorite comics and movies. It’s all part of the’ Hope For Henry Superhero Extravaganza.’ Laurie Strongin is the founder and CEO of the D.C. based organization. She founded ‘Hope For Henry’ in memory of her son who died at age 7 of Fanconi anemia.